A couple of days after we hosted recording artist Toni Braxton in a live celebrity chat on MSN Live, I received a package in the mail. 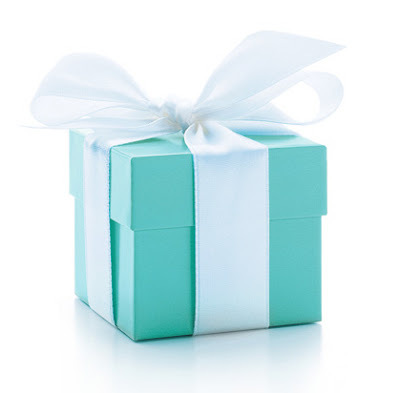 Inside was a box, the iconic Tiffany & Co. box. I untied the white satin ribbon and lifted the lid. Inside were two small, perfect crystal votives with a handwritten note from Toni, simply saying "Thank you for a lovely interview." I was knocked out by her graciousness. Yes, the votives were beautiful but more importantly, however, was the thought behind it. Her act of gratitude left me elated. Sure, as kids, our parents made us sit at the kitchen table and write thank you notes to our grandparents for birthday gifts but as we've grown up the art of handwriting a thank you note seems quaint, old fashioned, really. Instead we send an email or even a text. 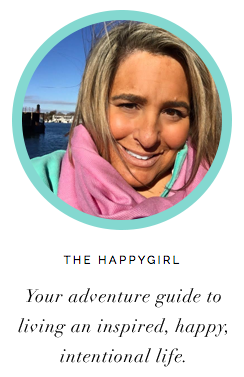 I've been guilty of this myself but as part of my adventure into happy I've been thinking about people who have made in difference in my life. 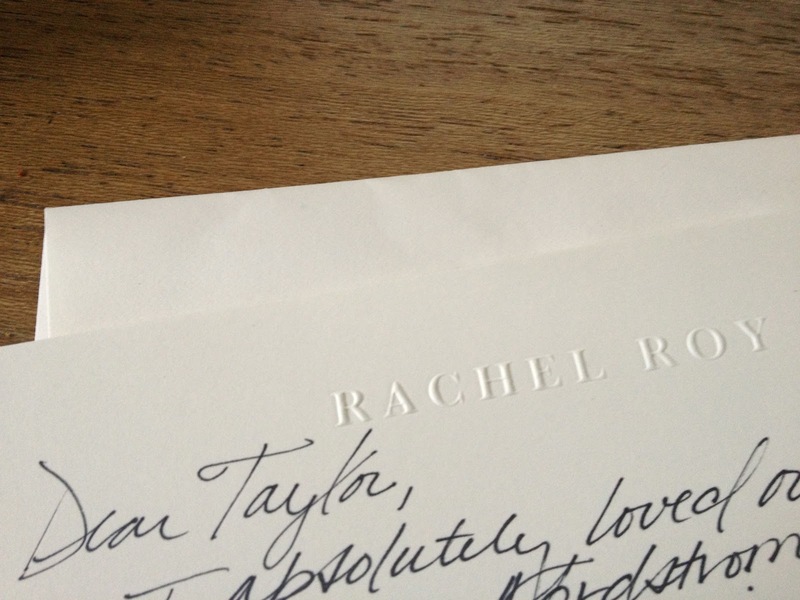 People like Toni Braxton and most recently designer Rachel Roy who sent me the kindest note after a recent meeting (read our Smitten interview with Rachel here). These two extraordinary women excel at the art of leaving a lasting impression. So do our three east coast nieces who since they first learned how to write would send us notes, often hilarious. ("Auntie T & Uncle L, I miss you. Thank you for my American Girl doll. OK, now come home.") They know just how to reach our hearts. Recently, I vowed to send at least one note a week to someone who has gone out of their way to make this world and my world even, a little better (even if it was years ago). On ETSY I found a wonderful company called Daily Sip Studios. Owner, Kimberly FitzSimons designs simple, beautiful letterpress stationary. Now, each time I sit at my desk to write a note to someone I can almost feel my grandmother smiling, sitting next to me saying "Good girl. Good girl." That. That makes me happy. This week, let's do this. Let's send out a card, a note to someone who has impacted our lives. Imagine how very proud your grandmother would be. Who is your card going to?